People today may be forgiven for thinking that the Sunset Strip first rose to worldwide fame when it was the epicenter of the rock ‘n roll revolution in the Sixties. But the Strip’s time as a rock mecca is not half its story. And now a new book on the history of the Sunset Strip tells the complete story for the first time. In 26 essays written by Van Gordon Sauter – the brother-in-law of California Gov. Jerry Brown and former president of both CBS News and Fox News – “Tales from the Strip: A Century in the Fast Lane”, introduces the people, places and events that shaped the boulevard’s history in its first century. Tales begins in 1918 when Alla Nazimova, an exotic, sexually fluid silent-film megastar acquired an estate at Crescent Heights and Sunset, near the Strip’s eastern boundary, becoming the Strip’s first resident movie star. After a reversal of fortune in 1926, Nazimova converted the estate into the Strip’s first hotel, which came be known as the legendary Garden of Allah, a center of bohemian sophistication that set the tone for the Strip in its Hollywood era. One of the dozens of famous residents at the Garden of Allah was F. Scott Fitzgerald, author of “The Great Gatsby,” who lived in Villa 1 while writing for MGM. Fitzgerald died a few blocks away in the apartment of his girlfriend, the gossip columnist Sheilah Graham in December 1940. 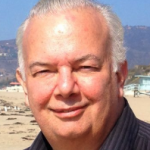 Tales also introduces impresario Billy Wilkerson, founder of “The Hollywood Reporter,” who launched two world-famous Sunset Strip nightclubs, Café Trocadero and Ciro’s (which is covered in its own essay). And we meet popular silent-era cowboy star Bill Hart, who left his home next to the Sunset Tower to the city in the Forties. Today the William S. Hart Park on DeLongpre includes Hart’s house, a small theatre that is home to Actors Studio West and a popular dog park. The Strip’s gangster past gets its due with essays on Mickey Cohen, who took over West Coast rackets after Bugsy Siegel’s assassination in 1947 and ran his vast criminal empire from the basement of his haberdashery at Palm and Holloway Drives. Cohen survived two separate gun attacks on the Strip in the late Forties. Siegel and his wingman, Allen Smiley, are mentioned in the essay on the Sunset Tower – they were busted there on a penny-ante bookmaking charge in May 1944 – and Smiley reappears in the essay on the Sunset Plaza Apartments, in a recounting of the infamous August 1944 “Battle of the Balcony,” in which Smiley, bandleader Tommy Dorsey and Dorsey’s wife Patricia Dane, nearly killed Jon Hall, one of Universal’s biggest stars, in a drunken brawl on the Dorseys’ porch. Sauter also gives us the back stories on places that, like the Sunset Plaza Apartments, are with us no more. His story on Schwab’s, the drug store that once stood on Sunset east of Crescent Heights (where the 8000 Sunset mall is now) thankfully swats down the myth that Lana Turner was discovered there. (Turner herself confirmed she was discovered by Billy Wilkerson in a soda shop near Hollywood High School.) Schwab’s is best remembered for scenes set there in the classic Hollywood film noir, “Sunset Blvd.” – and Sauter confirms that the interiors, although incredibly authentic-looking, were filmed on a sound stage. There are also essays on beloved institutions like Tower Records, which is no more, and its across-the-street neighbor, Book Soup, which is still very much in business. Larry Flynt’s Hustler Store is also covered. The only significant historical missteps in the book are in the essay titled “Hacienda Arms Apartments.” The building which opened in 1927 at Queens Road and Sunset (and is known today as the Piazza del Sol) was actually named the Hacienda Park Apartments – Hacienda Park was the original name of the neighborhood at the eastern end of the Strip. The source of the confusion can be traced to a Los Angeles Times reporter’s misstatement of the name in an article about a fire that gutted the building in July 1984. Despite a correction in the paper in the next day, the wrong name stuck. The building is even listed incorrectly in the National Register of Historic places as the Hacienda Arms Apartments. Tales also repeats the popular myth that Hollywood madam Lee Francis operated a brothel for A-listers in the building. According to Francis’ own account in her book, “Ladies on Call,” as well screenwriter Budd Shulberg’s recollections in his memoir, “Moving Pictures: Memories of a Hollywood Prince,” her bordellos were housed in rented mansions around the city. It is true that Francis kept an apartment for her personal use in the building (which was renamed the Coronet Apartments in 1938) and that may have been the origin of the myth. The history of the Sunset Strip is indeed a ride in the fast lane, and in “Tales from the Strip,” Van Gordon Sauter guides us through a thorough-going, satisfying tour of its twists and turns and its highs and lows. The writing is friendly and accessible and paced to keep things moving. The essays are sufficiently detailed to satisfy history buffs, but also short enough to appeal to people with short attention spans. Published by the Santa Monica-based Angel City Press, which specializes in large-format nonfiction books on Southern California history, “Tales from the Strip” is illustrated with a trove of photographs, both new and vintage. Published here in large format, including many double-page spreads, the photos – including even the classic shots that are ubiquitous on the Internet – are arrestingly beautiful. 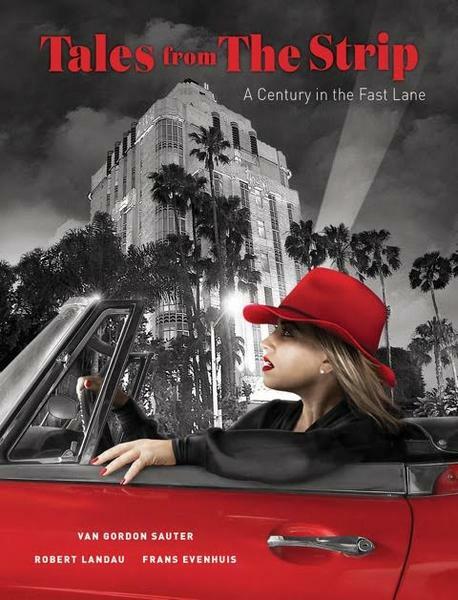 Van Gordon Sauter, Robert Landau, and Frans Evenhuis will discuss and sign copies of “Tales from The Strip: A Century in the Fast Lane” on Saturday at 4 p.m. at Book Soup, 8818 Sunset Blvd. in West Hollywood. It’s my understanding that Hart left his property to the city of Los Angeles who in turn leased/loaned it to West Hollywood after they became a city. Will LA give this beautiful and historic oasis to West Hollywood? I also heard that the fence surrounding the dog park has been leased for decades as West Hollywood doesn’t allow permanent chain link fences within the city limits; can this really be true?? ?